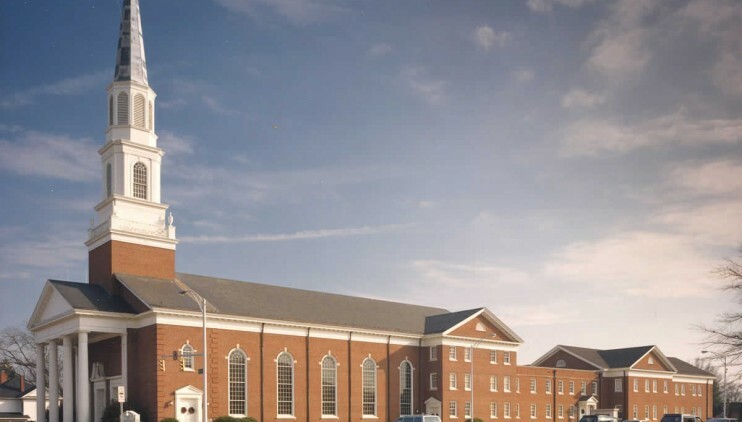 This project for Hickory First Baptist Church included complete renovation and redecoration of their existing 1,200-seat sanctuary. 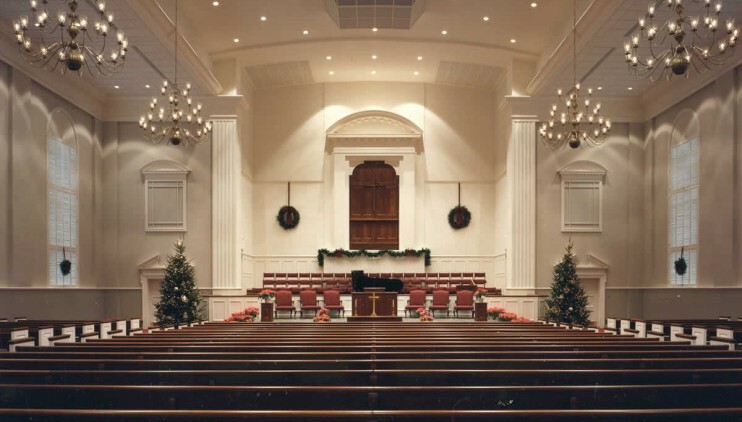 The project was designed with TV and special seasonal productions in mind including new sound and acoustical systems. 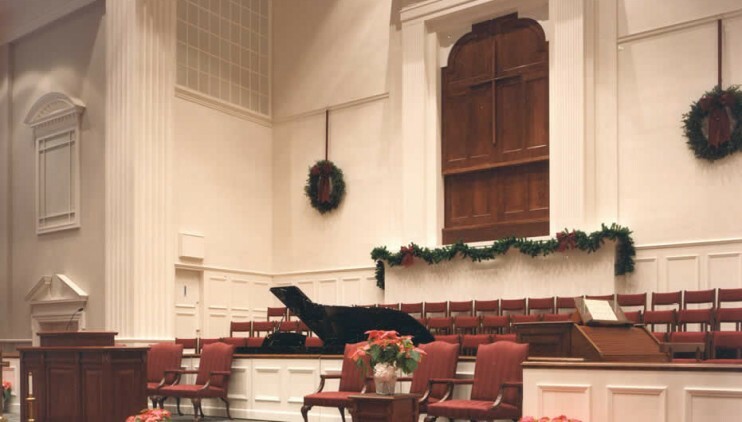 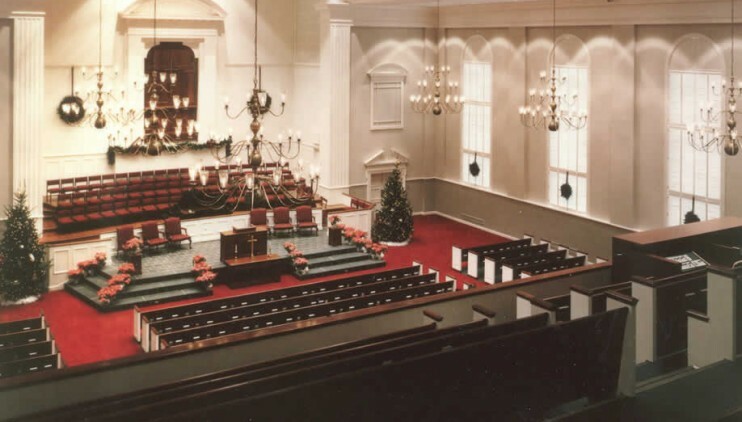 The renovation included redesign of the pulpit and choir space for more flexible use, and redecoration, which included refinishing and upholstering the solid mahogany pews, and repainting of the entire interior.